BERN – Switzerland needs to consider new policies on the international exchange of tax information, if the country wants to maintain its position as a global leader in wealth management. At its annual press conference, held on March 27th in Bern, the Swiss Financial Market Supervisory Authority (FINMA), stated that the country and national financial institutions needs to review its policies regarding exchanges of international tax information and embrace a greater levels of tax transparency. 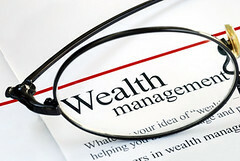 According to the director of FINMA Patrick Raaflaub, who led the conference, Switzerland could lose its competitive edge as a destination for wealth management in the future, unless it can shake the negative image placed on the country in recent years following international allegations of tax evasion committed with use of accounts held with Swiss banks. Patrick Raaflaub conceded that the concepts of bank secrecy are deeply ingrained in Swiss law, but he also went on to say that in today’s business environment Switzerland’s restrictive policies no longer met the international standards for cooperation on tax matters, and added that FINMA has considerable interest in seeing the government pursue more reciprocal exchange agreements.